Customizing Windows desktop has always been an easy job. 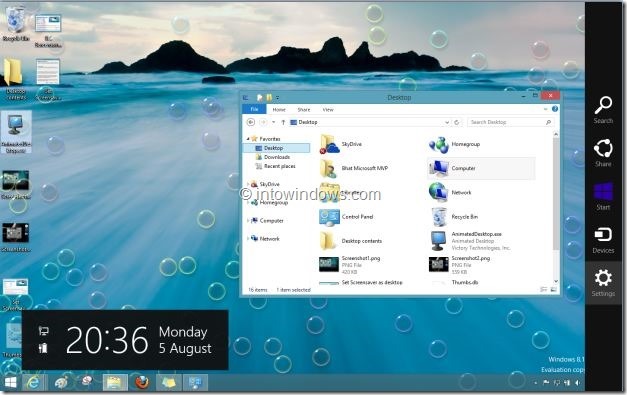 There are plenty of free as well as paid software out there to customize Windows desktop in a number of ways. On the other hand, Windows also offers a couple of basic personalization options that require no additional software. As you may know, there are a couple of good software to set a video file as your desktop background (wallpaper). 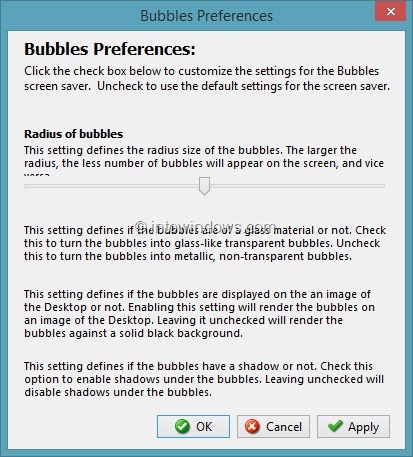 If you’re on Windows Vista or Windows 7, you can use DreamScene Enabler software to enable DreamScene feature in all editions, and if you have upgraded to Windows 8 or Windows 8.1, you have no option but to install Stardock’s DeskScapes, as the DreamScene Enabler isn’t compatible with Windows 8 and Windows 8.1. If you like the default set of screen savers that ship with Vista, Windows 7, Windows 8 and Windows 10, or if you have recently installed some new screen savers from the web, you might like to set your favourite screen saver as your desktop wallpaper. Although, most of the customization tools out there don’t let you use screen saver as desktop background, there is a free tool specially designed for the job. 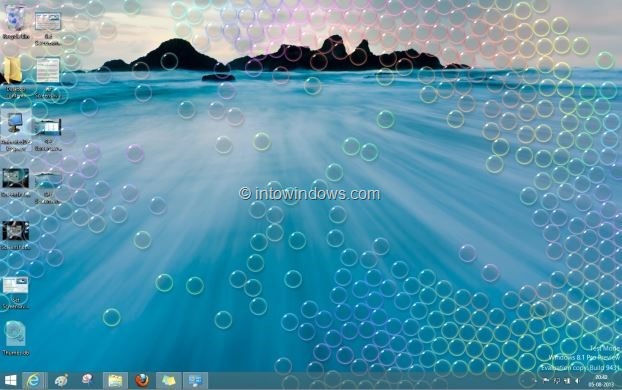 Animated Desktop is a free program designed to help you set your desired screen saver as your desktop background. Applying a screen saver as your desktop background is fairly simple when you are using Animated Desktop. Launch the software, select a screen saver that you wish to set as desktop wallpaper and then click Apply button. The program comes with live preview feature so that you can see the preview of the screen saver before applying it as desktop background. The other cool feature of tool is that it lets you tweak Windows screen saves as well. For instance, you can change the number of lines that appear in Mystify screen saver with the help of Animated Desktop. In other words, you can customize a screen saver’s appearance before using it. An option is also available to automatically start Animated Desktop with Windows. 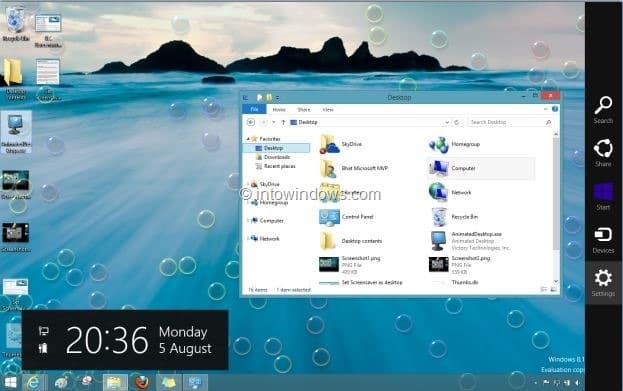 Animated Desktop was originally developed for Windows Vista but it’s compatible with all recent versions of Windows, including the latest Windows 10. It supports both 32-bit and 64-bit Windows versions. NOTE: We suggest you use the Hotfile link mentioned on the download page. If you try to download this software (any software or file, perhaps) from uploaded.com, you will be pushed to download uploaded.com executable first in order to download Animated Desktop. So we recommend you click the Mirror link provided in the download page. You might also like to download Screen Saver Rotator software to automatically cycle between your favourite screen savers. Garbage! Works only with native screensavers. 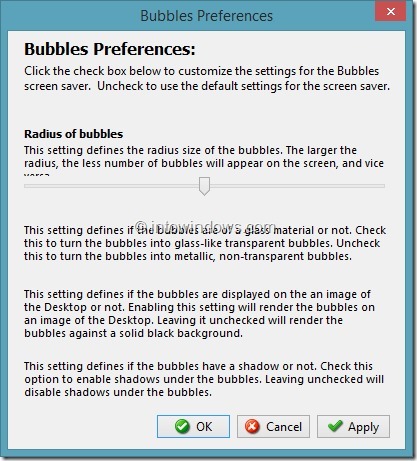 Screensavers installed after (like Dream Aquarium) do not appear in the application window. 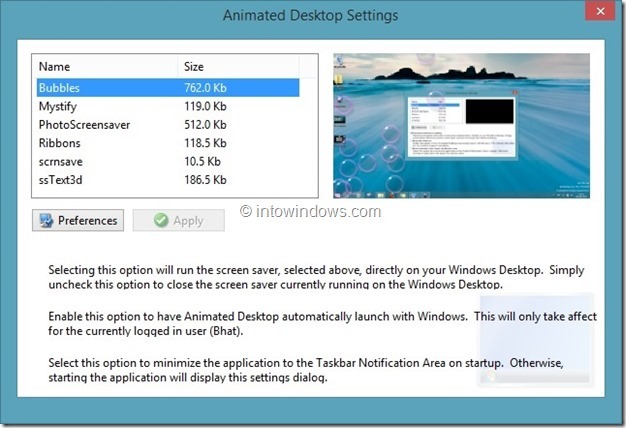 This software is located in this forum post, and it appears to work well in Windows 10. Is there another sight to download this program? Also, what is the name of the program and the name of the person or company who crated it? Should be possible as long it’s a screensaver. is there anyway to run the twingly screensaver as background with this program? Thank you! Do you know a way to setup two different wallpapers on my two screens?